We are so excited to announce that Maxi-Cosi just launched a new infant carseat called the Mico AP. The new Mico AP makes each journey with your baby easier and safer! If you are looking for a car seat that provides style, safety and convenience can now have it all with the Mico AP. The Mico AP infant car seat is the lightest infant car seat in its class and features an ergonomic handle for extra comfort while carrying. The Mico AP features advanced Air Protect Side Impact Technology as well as upgradedsuper soft and plush fabrics. This patented Air Protect cushion system protects around your babys head, where its needed most. Air Protect does this by extending ride-down, the amount of time it takes to slow a childs movement in a crash. The comfortable premium fabrics and padded 5-point harness covers keep baby secure and cozy during the ride. The infant head insert called Cozi-Dozi, is included and gives the extra support needed by infants. Each Mico AP comes complete with a multi-position canopy with a flip out visor to help protect babys sensitive eyes from sun. The Mico carseat transfers from the stay-in-car base to a Maxi-Cosi or Quinny stroller, making it a great solution for parents looking for a complete travel system they can use from birth. Just some of the features include - revised base release handle located on shell, superior side impact performance, flip-out canopy visor for extra UV protection, 5 point harness is adjustable from the front, same stroller compatibility with Maxi-Cosi & Quinny strollers and other premium strollers. 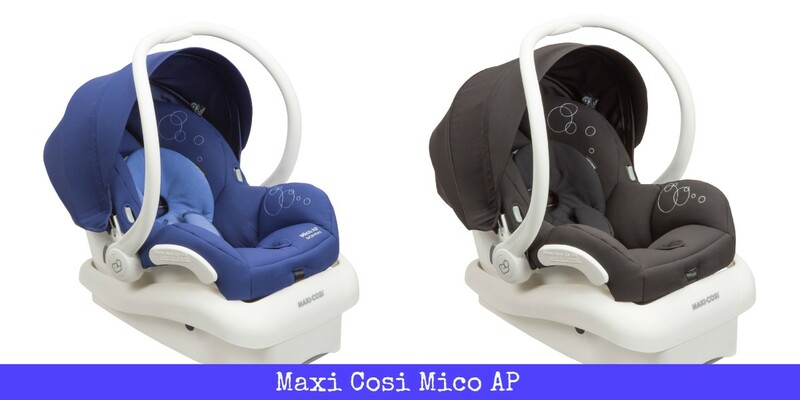 The Maxi-Cosi AP comes in a wide range of colors. The black frames retail for $199.99 and white frame: $210.00. For more information visit www.maxi-cosi.com. Win it: We are giving away a new Maxi-Cosi AP car seat to one lucky reader. 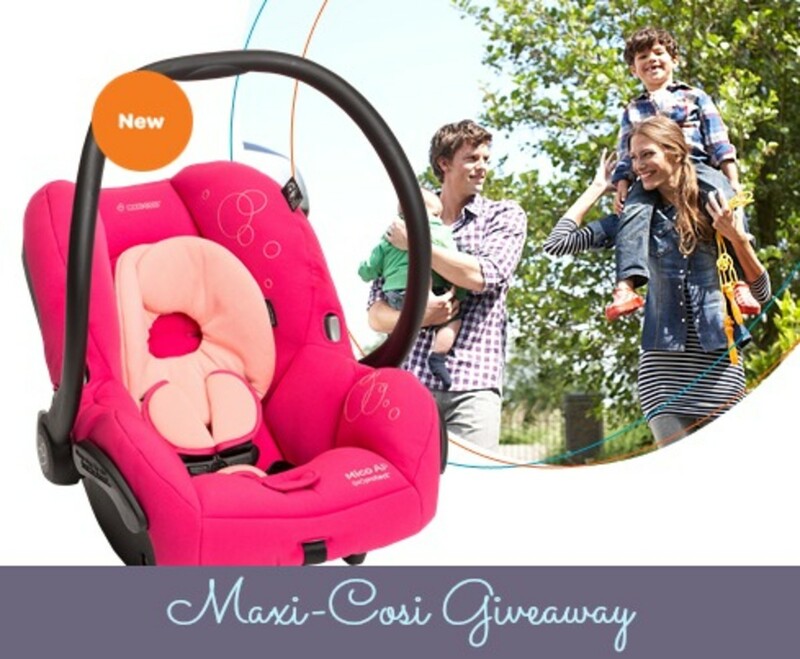 To enter, visit http://www.maxi-cosi.com/ and tell us what your favorite feature of the new car seat is in the comments section. 1. Follow @MOMTRENDS on @MaxiCosiUSA on Twitter. 2. TWEET This Message: Enter to win the new @MaxiCosiUSA AP Car Seat on @Momtrends http://bit.ly/13jWqUf #safety #carseats #giveaway "
Full Disclosure: Winner must be 18 years or older and a US Resident. No purchase necessary. Winners will be notified via email with the specifics on how to claim their prize. Contest ends 8/28/13 at Midnight EST. Winners will be picked by random.org. By entering this contest, you will automatically be signing up for the Momtrends newsletter. This is a sponsored post.